India and the Indian stock market is on everyone's mind. From the United States, to China, Europe, and on the Internet, people are looking for more than just facts. Whether you're a devotee of CNBC or prefer your news straight from the bull's mouth, what you don't know can hurt you. There's a lot of information out there. The problem becomes interpretation, although it's sometimes concealed in terms only a financial analyst can understand. So what can investors do? Sundaramurthy's background is Chemical Engineering. He received B.Tech. degree from Alagappa College of Technlogy, Anna University, India but he's best known for his serious financial analysis delivered in terms beginners can understand. He combines data from analysts, news wires and other sources and adds a lot of his own insight. TheIndiaSreet: The India stock market has been on a roll for a long time. Do you think this bull market will continue? Sundaramurthy: Yes. I always feel positive about Indian markets. As an analyst, I will certainly wait for a technical confirmation before I conclude that the bull market is over. TheIndiaStreet: What are the key trends in India that make an unprecedented economic boom inevitable in the next decade? Sundaramurthy: Better infrastructure, quality of education, excellent industrial growth, human resources availability and finally inflow of foreign funds towards services, direct investment and financial markets. TheIndiaStreet: A crisis in Asia has made the U.S. market fall in the past. Do you expect it to affect the India market in the short or long term, or is it completely taken care of now? Sundaramurthy: Well, just compare it with Indian rupee appreciating against dollar. Some people will certainly get benefitted by this whereas some others may not. In financial markets ups and downs are always going to be there, though the regulators attempt their very best to control it. But in case some abnormal movement occurs, even they can’t help investors. It is a risk. Any crisis, be it in Asia, US or wherever – is unlikely to affect the markets, but using the name ‘crisis’ few people will get benefited. TheIndiaStreet: How do you think interest rates or margin concerns will derail growth or earnings visibility for the India real estate sector? Sundaramurthy: I think the demand in the real estate industry will ultimately decide its future. When the interest rates were as high as 18% people were still getting loans from banks and other institutions. Now with reduced interest rates of 10% also still they apply for loans. So who bothers much about interest rates! TheIndiaStreet: Where do you see politics in the midst of all of India’s capital markets during the next couple of years? - does it worry you? 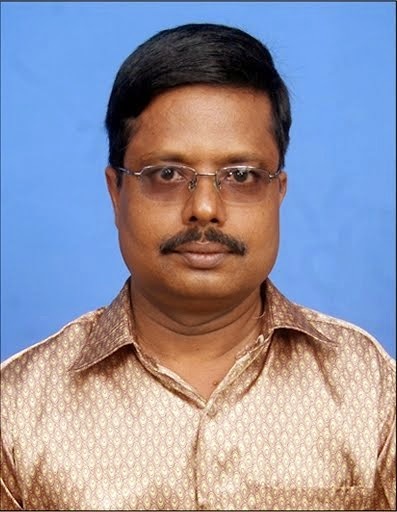 Sundaramurthy: Sorry, I am not a politician. But from the past history I can tell you it has nothing to do with capital markets. During BJP regime markets went upto 2015 on NSE and before UPA government assumed Office, on May 17, 2004 we had the worst ever fall. The very next day the markets were up. Today the index has more than doubled. So I don’t think politics has much to do with markets. It is the false hype that is created among the public. TheIndiaStreet: What Capital Market reforms need to take place in order to keep the bull market running? Sundaramurthy: I think the reforms are already in place. The market regulators have kept a vigil on all activities that are happening in the market. They will surely add or amend the regulations if a need arises. One real worry is the increasing number of web sites offering investment and trading advice to public. TheIndiaStreet: Would you be surprised if the India Stock Market Index went on to break 16,000 this year? Sundaramurthy: No, certainly not. When 4000 can become 14000, why not another 2000? TheIndiaStreet: Which India industry sectors do you like the most for investing today? Sundaramurthy: First choice would be real estate. Given the amount of scope for the growth, we can ideally invest in real estate sector in case the stocks get corrected. Others would be construction, textile and metal stocks since technically some are underpriced and others have more upward targets. The time is probably not right to enter sugar stocks. But it is wise to be stock specific rather than sector specific.